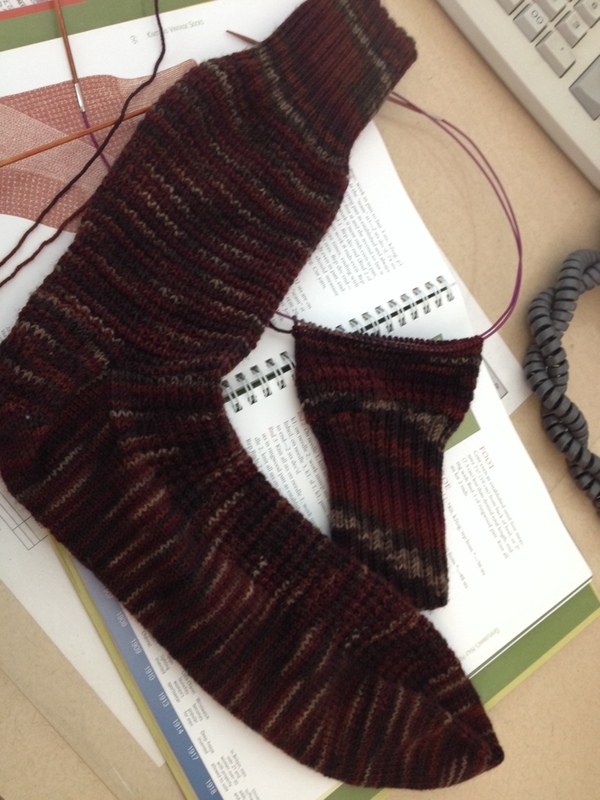 I am not sure if I am referring to these socks as long in length or in amount of time it is taking me to knit them. To be honest, there is no deadline, so it doesn’t much matter. However, these are some LONG socks. There’s nothing in particular that makes these on any time schedule. They’ll be done, someday. I have been working on them exclusively at work, with the exception of the time a needle broke and I brought them home to find a new needle. Which, also promptly broke, but I digress. Now they are back at work, they are seeing some of my time devoted to them, and it occurs to me that even with all that, it will be a LONG time before they are complete.